David W. Anderson was appointed as the Councilman for Ward 1 in March, 2011 and elected to a full term in November, 2011. He believes Lakewood is the greatest city in which he has ever enjoyed. 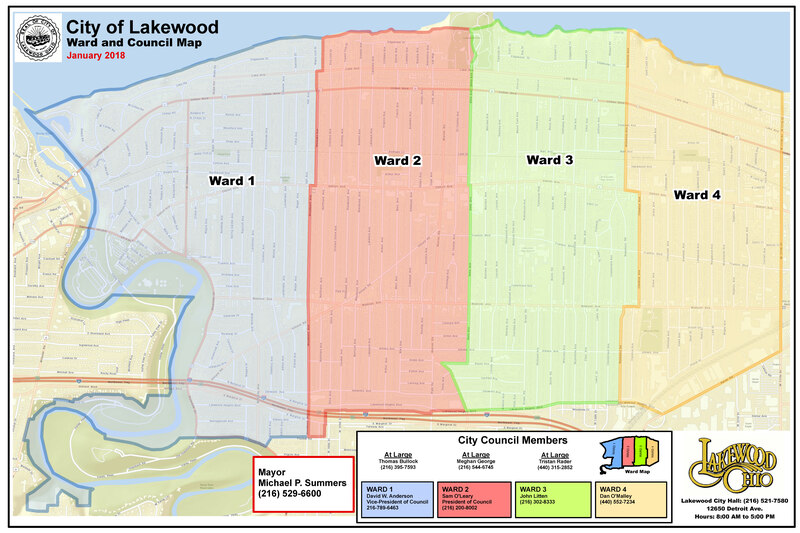 Lakewood’s people, homes, services, libraries, shops, sidewalks, safety and recreation make this a great place to live and raise a family. Upon graduating from Kent State University in 1991, David went to Washington, D. C., to work for United States Senator Howard M. Metzenbaum until 1995. He returned to northeast Ohio later that year to work for a subsidiary of Diebold and has since accumulated 20 years of experience in Cleveland’s business, educational and non-profit communities. His eclectic blend of public, private and non-profit experience has led to a combination of communication, planning, leadership, budget management and business development skills. David is a long time Ward 1 business owner. Having bought his first home in Lakewood in 1998 he now owns three rental properties in the city. In addition to investing in the city, David has demonstrated civic leadership, service values and a passion to make a difference. He and his wife, Andrea, married in 2001 and now have four amazing children, Brianna, Reese, Luke and Benjamin.